There are plenty of places to see around Rye. 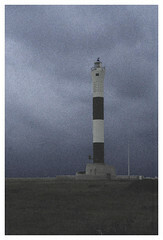 Start with the wild country around Dungeness and the Romney Marshes. Then go for a trip to Sissinghurst and Great Dixter. These are my favourite gardens. I have been going to Sissinghurst since an early obsession with Harold Nicolson. I read most of his books and political diaries and wanted to be him living in an old castle although not with Vita Sackville-West. The gardens are superb – climb up the old tower to view them from above. Great Dixter is the home of Christopher Lloyd who created the delightful gardens and wrote books and articles about gardens and cooking. One of my favourite books written by him combines growing vegetables with interesting ways of cooking and eating them. Just the thing for fans of the Ravenous Rambler! Its called the Gardener Cook and I have put in on my ebook shop if you would like to buy it. We made this pudding at Christmas vistiting James and Elizabeth and we all helped put it together. It’s a great dish and if you use a nice brioche loaf it will be light and fluffy. Make sure you do not leave any dry fruit or bread crust otherwise it will burn. Serve with ice-cream. Put the raisin in the whiskey and bring to the boil and then leave overnight. Stir together the milk and cream. In a separate bowl beat the eggs and sugar. Bring the milk mixture to the boil in a heavy bottomed saucepan and then pour into the sugar mixture stirring all the time.. In a large casserole dish, butter the sides. Slice up the bread and spread with butter and marmalade. Put these slices into the dish in a single layer butter side up. 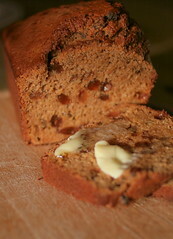 Pour on some of the raisin mixture and then put another layer of buttered bread on top. If you have enough bread build up a few layers of the bread and raisin mixture. When finished, pour on the mixed milk layer and leave to stand for half and hour or so. Then bake in a roasting tin filled with boiling water, 40-45 min at 180C. 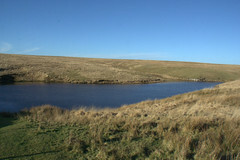 Pinkworthy (pronounced Pinkery) pond – a short walk on Exmoor. Birds – stonechat and buzzards. Position – Exmoor – Challacombe – Simonsbath road – park at Goats Bridge. Supplies: The Black Venus pub and stores in Challacombe. I love this walk and I am always trying to get people to come out with me to do it when I am staying at my mother’s in North Devon. For some reason I often end up doing it in winter. Last time I went out with my brother from Belgium and it was a complete bog on top and we went up to armpits in mud. This time I was alone and it was a cold winter’s day with a bit of frost around. Never mind because you can imagine that you are Johnny Kingdom up here looking for deer. I reckoned it would be a good day for photography. I had spent the morning chopping logs so had earned my keep so to speak. I packed a thermos of hot coffee and a sandwich and set off. It was very cold so I had several layers including my new undersocks and an old quilted waistcoat that my mother found in my wardrobe. I have been reading recently a book about Henry Williamson and Tarka the Otter. Williamson wrote that Tarka had visited Pinkworthy Pond so I was interested to see if I could see any sign of otter. I was inspired by a nature detective book set in the Lakes: Lake District Natural History Walks (Paperback) by Christopher Mitchell. I had a scout along the perimeter of the lake looking for clues but it was too cold and I didn’t have a magnifying glass so decided to leave this until another time. Park at Goat’s Bridge – there is a little layby just after the bridge. Turn up the track towards the Pinkery centre and follow the track up by the small river Barle. Look out for stonechats as you go up this way as I often see them and today was no exception. They appeared by the road – one perched on some twigs by the road and kept flitting around me. As you get nearer the centre look for a footpath that strikes off to the left and skirts around the centre and a wind turbine complete with information board. Set off up a hill bearing to the left to reach the river again and a style. Once through the stile we are really up on to the moor. Soon on the right you will pass some pools that in the summer are packed with frogs. Further on look out for the path veering off the right up the hill. If you carry on straight you will come to a halt and have to back track. As you climb higher, you will see the dam of Pinkworthy pond ahead. The water streams out of a tunnel and it is possible to walk through the tunnel to the lake but I have never tried it. Then through the stile at the top of the path to reach the pond or small lake that has been dammed. A good spot to take cover from the wind is down near the water outlet. You now have a choice of different routes. Turn left and climb up to Woodbarrow gate. It is really boggy up here but today it was frozen over so the going was good. I went through the stile at the top to the barrow and sat looking out over the moor and it really is a peaceful yet desolate area looking out over a vast plain of moors towards the sea. I sat and ate my sandwiches and drank a welcome cup of tea. The piece of malt loaf went down a treat up here. The wind was so cold that my fingers were freezing. I have these new gloves that are fingerless with mitten covers that can be velcroed back so that you can operate your camera. They are good but if you leave the mittens off your fingers freeze quickly. After the barrow I turned left and headed down again following the wall with its windswept trees. I saw a deer along here and took some photos. Johnny Kingdom would be proud of me. The path reaches the road and you turn left to head back to the car park. I used to always walk back the same way but I quite like this diversion and it makes a good short circular walk. But there are some different ways of doing this walk so route B for the more adventurous. I shall post option B soon…. This is a great quick cake to make and sliced with butter it makes a very filling treat on a walk. 1 cup of all bran, 1 cup of sugar (slightly less for the health conscience), 1 cup of raisins and sultanas mixed. 1 cup of tea, 1 cup of sr flour. A grating of orange peel to flavour the mix. Soak the fruit in a bowl with some cold tea left over from the last brew. Soak overnight preferably. Then just mix everything in a bowl, add the flour and a little more tea or milk to make a soft consistency and bake for about 25 min at about 150C. My favourite restaurant in Rye (but now taken over I am afraid so this review is out of date until I can get there again ). Its tucked away around on Wish Street, its been going for ever and the owner holds forth in the middle of the dining room from where he can keep an eye on things and makes sure that the friendly efficient service is always up to scratch. Booking is essential otherwise you may be disappointed. What’s on the menu? Well -its good country cooking – pheasant casserole, seasonal vegetables, excellent seafood – we had some delicious halibut! There are some tasty puddings – on the simpler side – sorbets and ice creams. Next time I shall make some more detailed notes. There is a good wine list and is all reasonably priced. I made these jolly little tartlets to take on a pre christmas party. I got some ideas from My French Cuisine . I used pre- bought puff pastry although they did rather puff up too much. 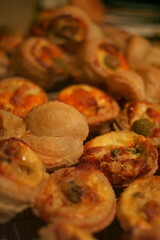 Ingedients: pastry, onions, bacon, eggs, yoghurt or milk, cheese, a variety of fillings – soft cheese, walnuts, olives etc. I had some delicious flapjacks from Barrow House Youth Hostel when I was training some pupils on a Gold DoE. The flapjacks kept me going for four days on the hills over Easter. I can honestly say that they were the best flapjacks in the world so if you are staying in the Lake District it would be worth youth hostelling just for that. I made them myself when I worked for YHA but never managed to make them as well as those. 6oz butter or margarine, 8ox demerra sugar, 8oz rolled oats, 4 oz raisins. Cream the fat until soft. Mix together the sugar, oats and a pinch of salt if you must. Transfer the mixture to a baking dish which has been greased. Cook for 25 min at about 150C. Leave to cool afterwards. Don’t leave them in the oven too long otherwise they pull your teeth filings out. You want them soft so they melt in your mouth.